between your career and family life. If planning to go abroad, make stronger efforts after March to get the desired results. With Ketu transiting your sign with Saturn in March, some confusion in taking important decisions is possible. By the end of April, Jupiter and Saturn retrograde in Sagittarius. Your 2019 horoscope warns you against possible stress and you should avoid thinking too much. This year seems to put you under some pressure and make a glowing diamond out of you. Be patient and proceed bravely. Take care of your health and eat a healthy diet. September may see a rise in your interest towards religious activities and you will focus on your inner self. Sagittarius, your financial condition seems to vary in 2019, yet your patience and confidence would help you sail through smoothly. Keep a check on your father’s health near the end of 2019 and maintain a peaceful relation with him. Jupiter is transiting Scorpio till 30th March in your 8th house. From 30th March to 22nd April, it moves into Sagittarius and then again, from 22nd April, it transits Scorpio till 5th November. Jupiter retrogrades from 10th April 2019 to 11th August 2019. 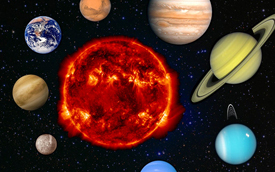 In your 2019 horoscope, Saturn transits your ascendant throughout 2019 and will retrograde from 30th April 2019 to 18th September 2019. Sagittarius, as the year starts, Rahu is transiting Cancer. From 7th March onwards, it enters Gemini in your 7th house and will stay there for the rest of 2019. Ketu moves into your ascendant from 7th March. Mars transits your 4th house in Pisces at the start of 2019. Sagittarius, your 2019 horoscope gives you a chance to prove yourself. Your will power and hard work will bring about a strong and positive change in your life. 2019 seems to start with frequent work related traveling for you. This year looks good for you to invest in your business, Sagittarius. Though avoid taking any important decision between May 2019 and August 2019. Excessive work pressure might disturb the balance in your work and family life, which might stress you. The Sagittarius horoscope for 2019 shows a possible project from abroad that might need more money and you will be able to complete it with the help of your friends. After September 2019, work related success would improve your financial condition. Your career horoscope speaks of possible appreciation from your seniors or boss this year. A salary raise and a promotion seem likely around the start of 2019. New projects might take you abroad this year. Keep a safe distance from female employees. Chances of a desired relocation look good for you, Sagittarius. Matters related to a new job appear favorable after August. If looking for a govt. job, you may possibly get it in 2019, Sagittarius. Around November, you may get a call from an old company or job. If considering joining it, do so after 2019. 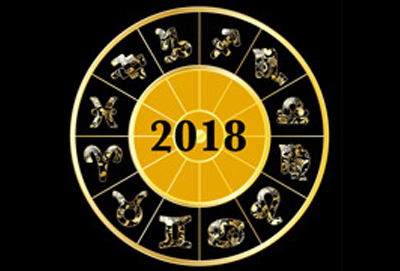 Sagittarius financial horoscope 2019 suggests you take things slow this year. Be careful while investing. A possible loss or chances of being cheated are indicated after March. If thinking of investing over family, research carefully before proceeding. Some unwanted or wasteful expenses are also likely on family in 2019. Taking or giving loan should be considered after March 2019. From April onwards, spend wisely and economically, particularly around mid-2019. After 22nd June, your financial horoscope speaks of possible wastage of money on your children’s or your own education. Financial condition, income, and profits seem average around mid-2019 and you need to be patient. Avoid purchase of land or a house from May to August. 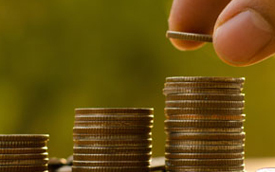 Sagittarius, long-term investments in share market seem profitable if made after September. Don’t invest for yourself or make any big investments in 2019. Sagittarius 2019 financial horoscope points at possible monetary profits from an old investment or from your father. Expenses are likely on a trip abroad or a pilgrimage. Around the end of 2019, a sudden financial gain from business or other sources can bring profitable results if invested for a long time. Sagittarius, your 2019 horoscope shows an average period for love and marriage life. As the year begins, chances of clashes are likely with your partner. However, don’t think too much over it, as issues seem to resolve easily and peacefully. If single, you may develop feelings for someone at work this year, Sagittarius and you should express your love in time if you want a positive reply. Saturn bestows your 2019 horoscope with good chances of meeting a suitable partner, who might support you financially as well as emotionally. Marriage life seems good as the year starts, though after March, transit of Rahu in your marriage house might cause confusions. Misunderstandings might affect your relation with your partner. 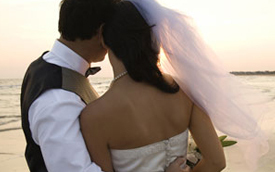 Around July, your horoscope suggests you to be careful towards the health of your spouse and spend more time with them. Expenses on children might further stress you in 2019. After September, achievements of your life partner seem to bring a jovial atmosphere on the family front, and you should support your soulmate with their work. 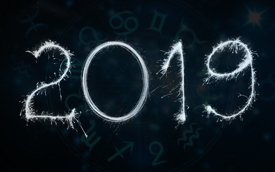 Your health horoscope 2019 warns you Sagittarius to be cautious this year. Avoid laziness at all costs. From March, Ketu changes its sign. Mental stress might cause unrest or uneasiness. Your horoscope suggests planning a pilgrimage for peace of mind. After June, a blood related problem might trouble you and you should keep your blood pressure in regular check. Your 2019 horoscope indicates throat or chest related problems after September and an infection might trouble you. Your traveling seems limited in 2019, Sagittarius. Trips appear to increase after March, and you should take care of your health while traveling. A pilgrimage is possible after April. Plan for a short trip with friends might end up being cancelled. Sagittarius, your 2019 horoscope indicates chances of a trip abroad with your family. Work related travels might increase after September. Near the end of 2019, you may plan a pilgrimage with your parents. Your family front seems a little disturbed in 2019, Sagittarius. Your horoscope speaks of possible clashes within family around February that might cause you stress. Keep your speech in check and avoid being too truthful to maintain your relations with everyone. A money related dispute might create differences between members of your family. Around mid-2019, an ongoing land related dispute might pick up pace, where your mother does not seem to support you, though efforts of your elder siblings might resolve the issue around September. Make sure to you take your parents on a pilgrimage in 2019. 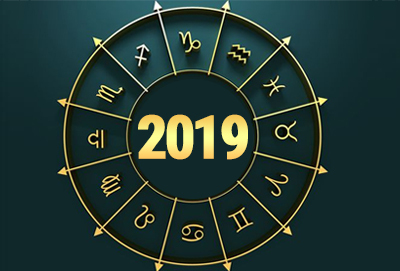 Your 2019 horoscope indicates peaceful relations by the end of 2019 and things will normalize. Your bonding with children looks mostly cordial as 2019 starts. Their focus seems good and success in competitions is quite likely. However, your 2019 horoscope warns you to be cautious towards their health from June onwards. An unexpected pause in studies is indicated and selection of subjects might cause confusion. Rising expenses on their studies might cause tension. Chances of sending them abroad for further studies look good around September. Throughout 2019, they may possibly get admission in school or college of their choice, yet hard work and sincere efforts would be needed. 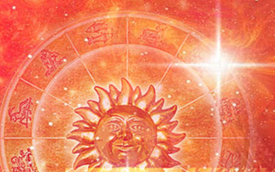 What Does Your Lagna - The Rising Sign Reveal About You?